On Sunday 30th July Kiddies Kingdom will have a grand opening for their new and humongous showroom in Dewsbury, West Yorkshire - for opening week they have amazing offers including up to 75% off and free gifts for customers. At 9000 square feet, Kiddies Kingdom will have the biggest showroom in the North. Already one of the UK's leading online baby and toddler retailers, you'll now be able to take a proper look and feel, and often even a quick try before you buy. The Kiddies Kingdom store will offer everything you could hope for from a larger retailer, including a Price Match Guarantee and Baby Wish List service, but they also offer extras including an Embroidery Service to personalise any suitable purchases and a full-sized car where parents can practice their car seat fitting skills. 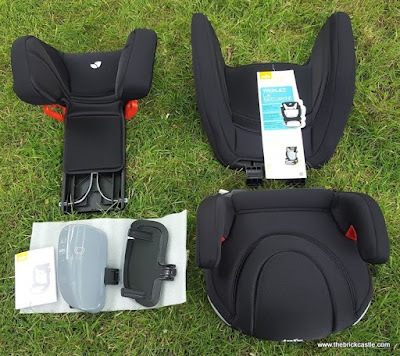 Kiddie's Kingdom stock all of the best-known and trusted companies, including over 150 top brands. 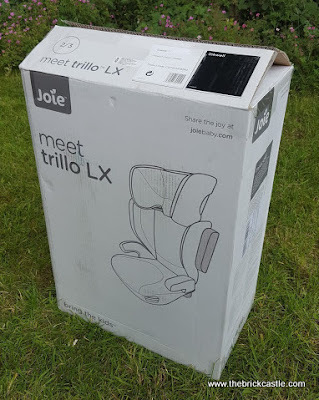 To promote the Dewsbury store opening, we've been sent the Joie Trillo LX Inkwell Group 2/3 Car Seat to review. 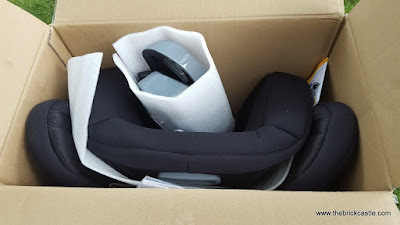 This is a car seat for children from 15-36kg (approx 4-12years). In February 2017 new Child Car Seat Safety Laws came into force preventing manufacturers from making Booster Cushions for children under 22kg, so from now onwards parents and carers should only buy a High Back Booster Seat or Child Car Seat for children in this category. 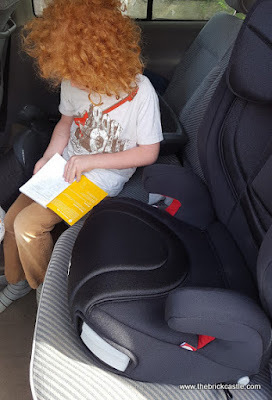 Our 7 year old weighs 22.3kg and has only just grown too tall for his Stage 1/2 car seat (car seat stages explained). We moved him to a Booster Cushion, but even on short journeys he falls asleep and doesn't look comfortable, nor is it as safe if he slumps, as his belt may not be safely and tightly over his lap and shoulder. 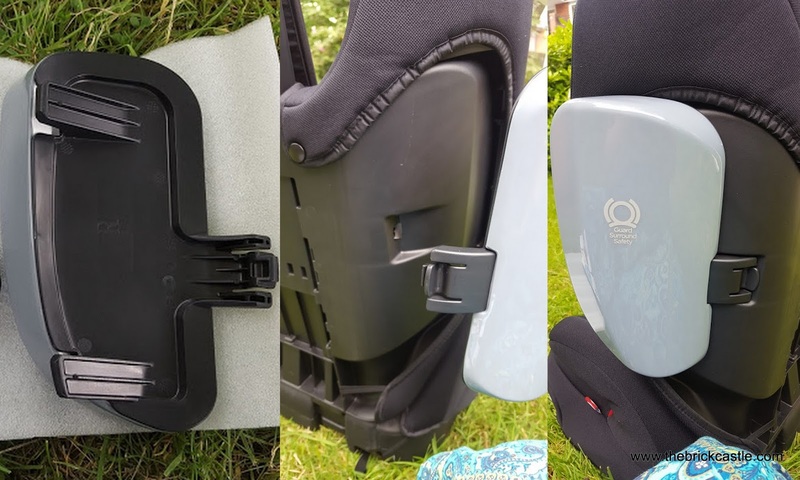 The Group 2/3 Car Seat with booster is the ideal solution as it holds the belt straps and your child in the correct position, however exhausting a day they've had - but it's not a 'baby seat'. (Click on any photo to enlarge it). 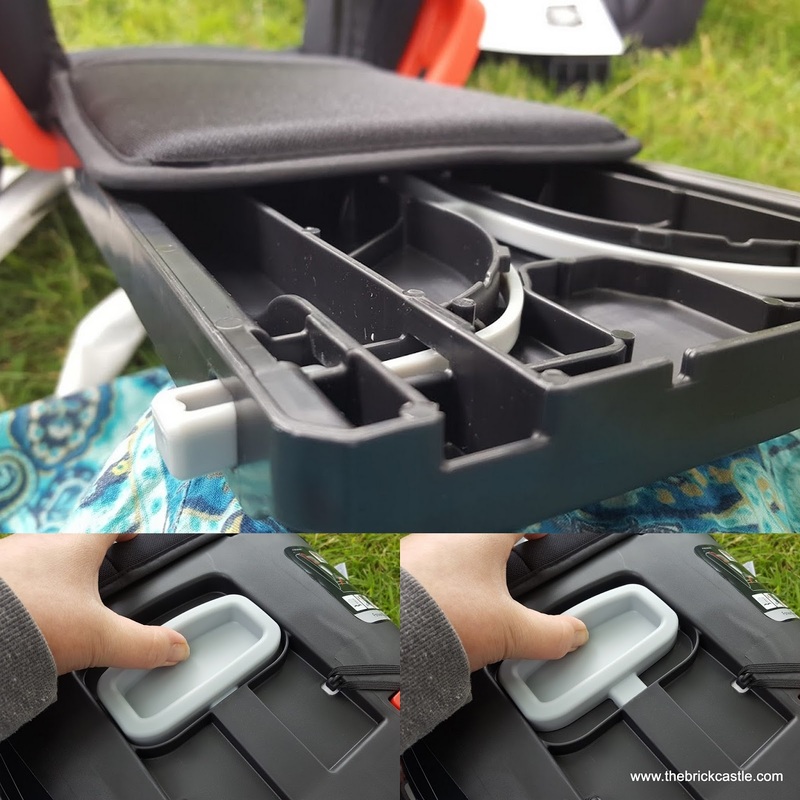 It looks a bit daunting, but the 5 parts slot together really easily. 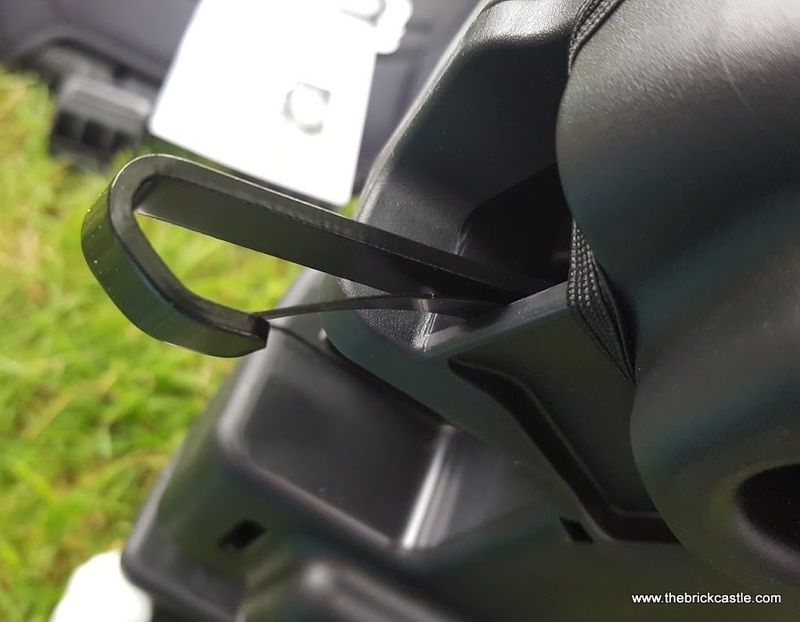 It's a good time to familiarise yourself with how your seat actually works - this is the release mechanism to adjust the height. 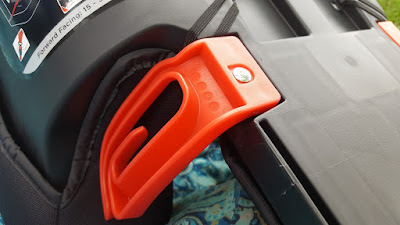 The hard plastic 'Guard Surround Safety' panels are in addition to the built-in side impact protection and need to be firmly clicked into place, and you need to press down hard to get the seat and lower back joined up, but it's possible for almost anyone, you don't need any tools, skills or biceps like Ironman. 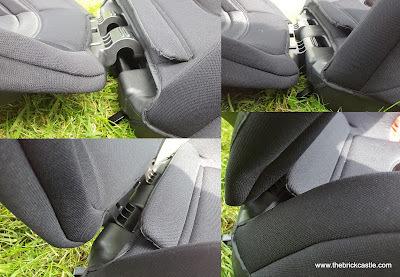 Once hooked into place, lift the back of the seat until it clicks firmly into position and you're done. Raising and lowering the height of the Trillo to any of the 7 positions takes 1 second using the grey handle on the back, so no excuses for it being 'not quite right' and no faffing - you can put a different child in the seat and adjust instantly. The fabric is breathable, really soft and has memory foam padding, you really can't ask for more comfort. 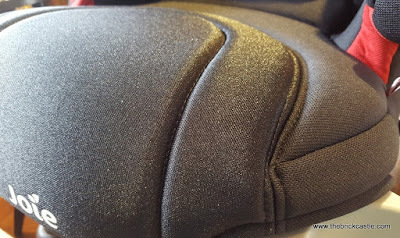 All of the fabrics are attached by poppers and elastic loops, so come off really easily for washing - and can be machine washed. The Trillo LX has 2 pull-out cup holders at the bottom front corners of the seat which my son will probably mainly use for miscellaneous sticky things with sand on. He adores them already. 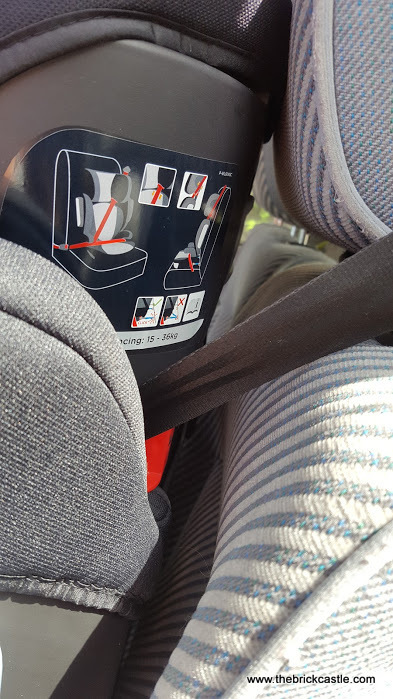 Not every seat will fit every vehicle, so you must check suitability otherwise there's no point buying this safety equipment. The Joie Trillo LX requires only a 3 point seatbelt and can also be attached to an ISOSAFE system for extra security if you have it in your vehicle. You can see that even though he's attempting to lean forward, he's held really well and can't move far. 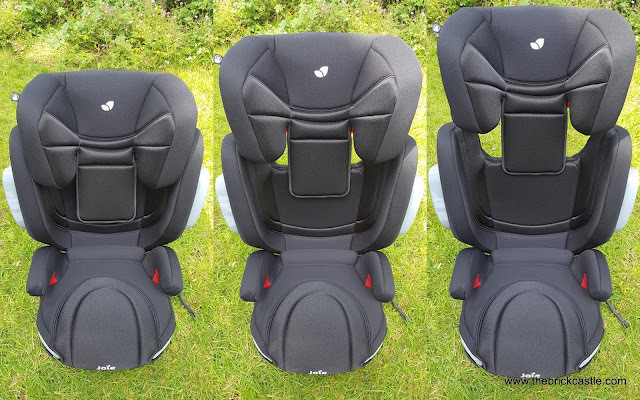 I'm very pleased with that, it feels a really safe car seat and it rates Good to Highly Recommended in safety tests. 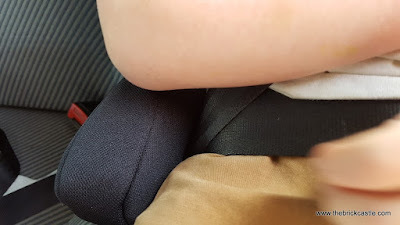 The lap belt is held well away from all the important tummy bits should the worst happen. 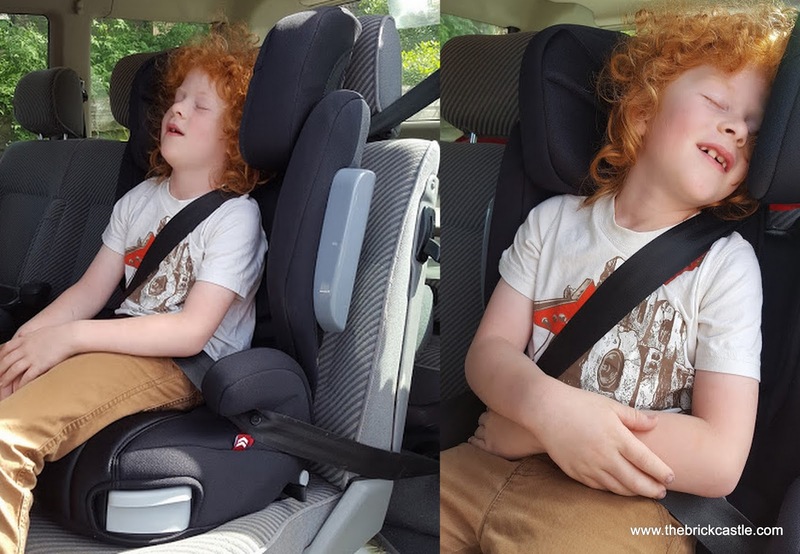 The Joie Trillo LX Group 2/3 Car Seat is so comfortable that my son insisted on showing you how great it'll be for sleeping. This is not what he looks like when he sleeps. We're really pleased, this will be especially brilliant for our trip to France later this year. 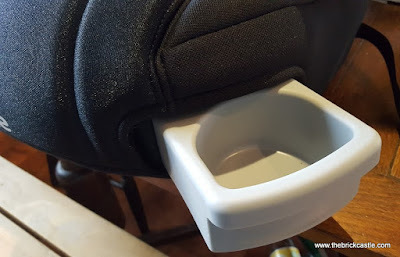 Far more comfortable and far safer than the booster cushion. 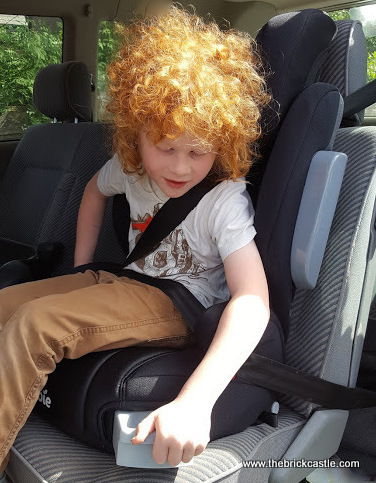 The Joie Trillo LX Group 2/3 Car Seat in Inkwell colouring has an rrp of £80 and currently costs £66.95. 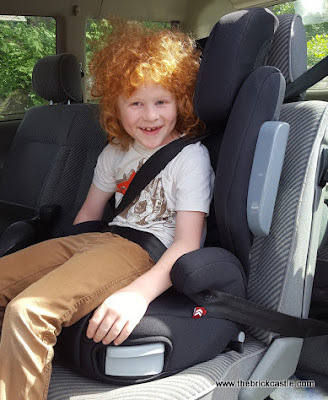 Kiddies Kingdom always offer a price match guarantee, so you will get the best prices, and if you find it cheaper they'll price match PLUS give you 15% of the difference too! 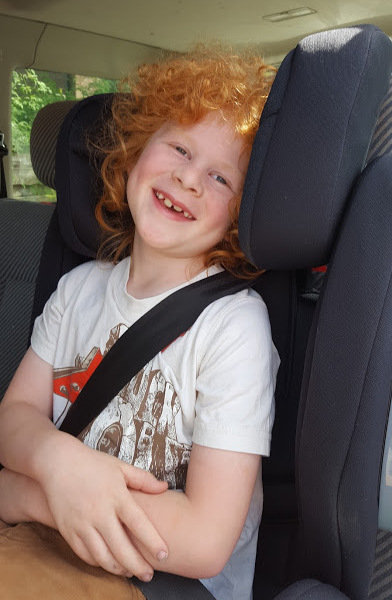 The new Kiddies Kingdom Store Grand Opening is on Sunday 30th July in Dewsbury, West Yorkshire - with up to 75% off prices, extra discounts for large purchases and free gifts for customers - find out more on the Kiddies Kingdom website. We were sent our car seat for review. Hair:Model's own.